UNC political leader Kamla Persad Bissessar. PHOTO BY ANIL RAMPERSAD. OPPOSITION Leader Kamla Persad-Bissessar warned top public servants not to endorse any questionable dealings by the Government such as the sale of a State-owned company or the purchase of foreign ferries, addressing a United National Congress (UNC) Monday Night Forum at Don Miguel Road Hindu School in San Juan. Questioning the propriety of Prime Minister Dr Keith Rowley's recent visit to Australia to view ferries with a view to purchasing, and alleging the Government wants to sell 49 per cent of Trinidad Generation Unlimited (TGU) to foreign firm Ferrostaal, she told public servants the current Government will not be in office forever. "Public servants, don't get caught up in deals because you will be liable, all these sole select tenders. The public servant becomes responsible and could face jail time. These fellows (Government) are on their way out." Persad-Bissessar alleged the Ministry of National Security had cancelled their existing contracts to lease unmarked vehicles and had awarded fresh contracts to a new firm so far unable to supply them. She said the Government will give the elderly/needy merely a deferral on their Property Tax. She vowed to scrap the tax if she takes office. Persad-Bissessar urged the Government to heed warnings from the leaders of Antigua and Barbados against the Sandals hotel chain. "Not a cent goes back to you. They lock off the beach. Tourists are locked in an enclave and not coming out to buy even a mammy apple." She promised the UNC MPs will go to the Lower House on Wednesday to ensure the Anti-Terrorism Bill is fair. "We must fight terrorism but not unfairly target any of our citizens." Persad-Bissessar vowed to ensure the bill does not unduly discriminate against anyone and has all due processes. 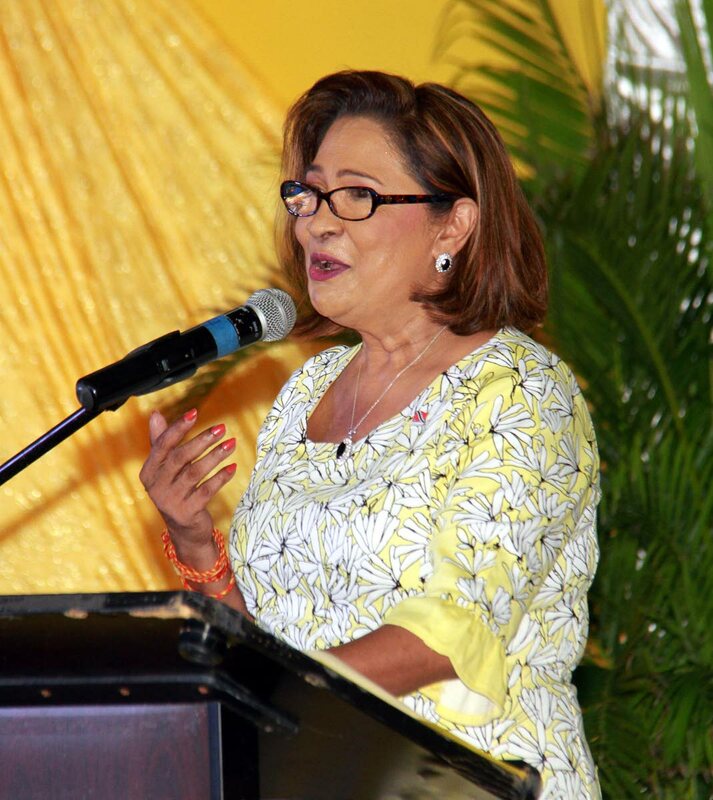 Reply to "Kamla warns top public servants"